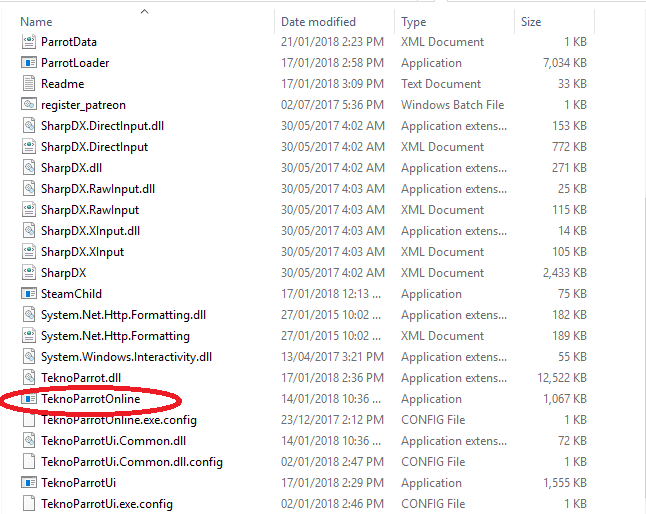 first we will learn how to join a game.... start by opening "TeknoParrotOnline.exe"
You should be greeted with a window like the one below. Proceed to pressing the "REFRESH LOBBIES" button to the bottom left of the window. 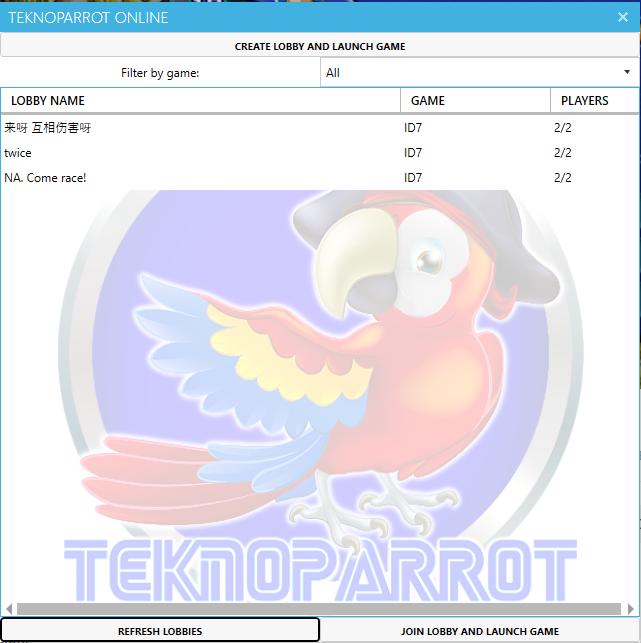 LOBBY NAME column= is the desired lobby name given by the lobby owner. PLAYERS column= the number of players in the lobby. 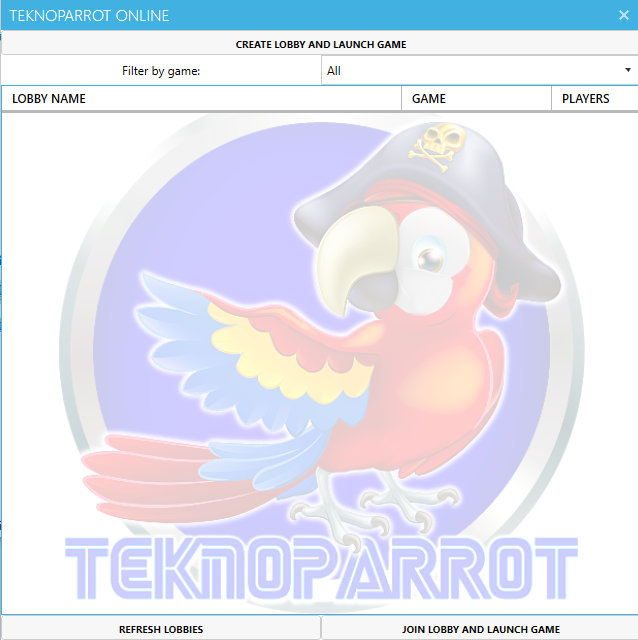 To join a game simply click on one of the hosted lobbies in the lobby list and press the "JOIN LOBBY AND LAUNCH GAME " button to the bottom right of the window.